IMAP support coming to Outlook.com? Users of Instant Message Access Protocol, better known as IMAP, may get support from Microsoft's Outlook.com, if a team member (or members) is to be believed. In a Q&A on Gizmodo, a person or persons from Microsoft using the handle "TeamOutlook" responded to criticism that's been lofted at the company for failing to offer IMAP support, a service other providers like Gmail provide for free. IMAP is one of the two more popular email retrieval protocols, aiming to help users keep various devices in sync with the same email account. POP - Post Office Protocol - is the other. When asked if Microsoft has any plans to incorporate IMAP support in Outlook, TeamOutlook responded by first calling it an "old protocol," heralding the advantages Exchange ActiveSync - which Microsoft offers now - has in common with IMAP. Those include syncing contacts, calendar and tasks as well as standard email. TeamOutlook went on to make a further case for EAS before switching gears and admitting IMAP support needs to come to Outlook. "Nowadays, EAS is simply a better protocol," TeamOutlook said. "All modern phones support EAS, including iPhone, Android [and] Windows Phone." 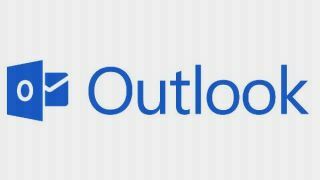 Calling EAS Microsoft's "long-term bet," TeamOutlook went on to say Microsoft prioritized getting it out before "going backwards" and working on IMAP. Still, TeamOutlook said Microsoft recognizes many users still want to use IMAP, conceding it has some value when it comes to supporting legacy phones and clients that don't have EAS and supporting developers who want an API to access email. To that end, IMAP support could be in the works. "I expect we'll support IMAP for Outlook sometime down the line," TeamOutlook said. When that will be, the rep or reps couldn't say. "If IMAP is really, really important to you, you should wait to upgrade," TeamOutlook concluded. On top of admitting Outlook doesn't have - and should get - IMAP support, TeamOutlook also said the service doesn't have "a great solution for clients on the MAC." Perhaps a dedicated Outlook.com app for the Mac is coming, or extended EAS support for Mac?